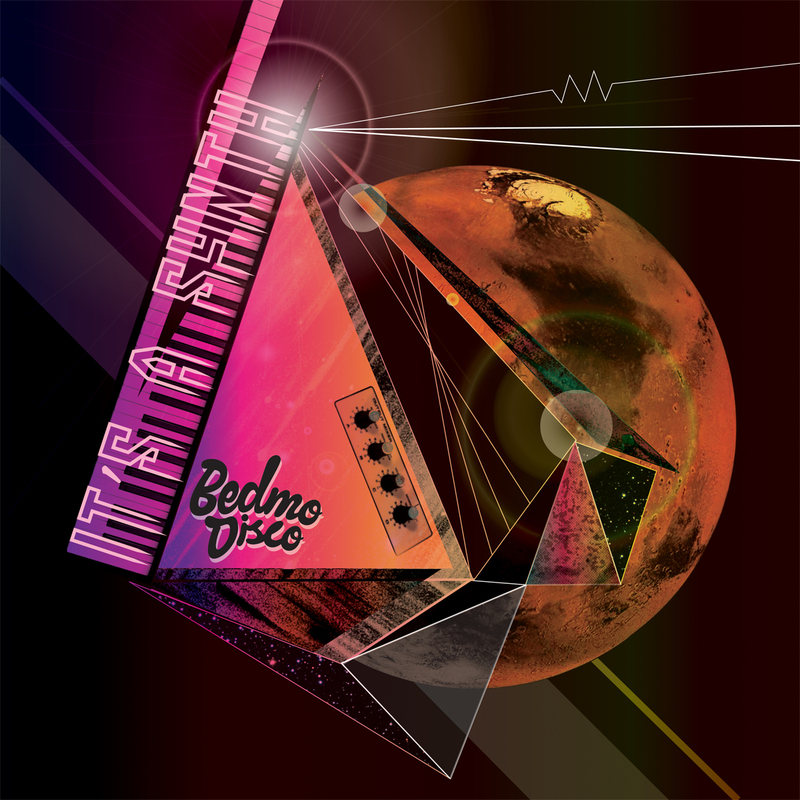 We’re rather excited here at Bedmo Disco HQ, because today our brand new EP of electrofunk/boogie scalel-jobs, ‘It’s A Synth’, went on sale. Seasoned Bedmo-watchers will have heard the three cuts – ‘Love Jam’, ‘Down Shep’ and ‘Stone Cold’ – because we’ve been hammering them in our sets since the summer. You may also have heard them being played by the great and good of the disco/electrofunk/boogie/modern soul crowd too – DJ support has been excellent, with plays from the likes of Cosmic Boogie, Alphabet City, Krystal Klear, Flash Atkins, Greymatter, Marcus Marr, Solid State, Leftside Wobble and many others. As previously mentioned, artwork for the EP comes from talented young illustrator (and excellent disco DJ) Victoria Topping. You can listen to the tracks in full on the Soundcloud set below. Get buying, get playing, get dancing!